Acqua Plumbing is here to offer more then just residential services. We offer professional services for real estate brokers and agents along with commercial services. Real Estate is a big investment and don't you want to know how well of an investment? Don't you want to protect your investment? Your Plumbing system is if not the most important and crucial piece to your puzzle that is your home investment. It is also one of the most intricate and tough to maintenance and maintain. Gas lines, Drain lines, Sewer Lines, Septic Lines, Drain Field Lines, and we can go on, but these are the things that have to be maintained and routinely maintenance to have proper working order. Every Technician/Plumber at Acqua Plumbing is consistently trained in a wide variety of the plumbing and sewer fields to make sure you have a long last repair and not just a quick fix. Are plumbers have an array of skills to help provide you with the best possible service we can provide in the plumbing, sewer, and drain cleaning and repair fields. If you are looking for an affordable, fast, friendly, and no one more knowledgeable then Acqua Plumbing with same day dispatching, and flexible payment options. Acqua Plumbing is here to do just that with our reality plumbing services. 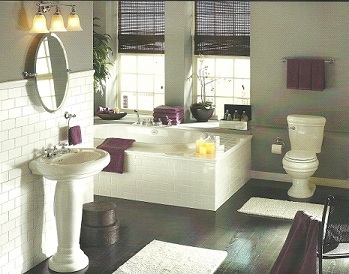 Here at Acqua Plumbing we offer Residential, Commercial, & Real Estate Plumbing & Sewer Services. Washington's Premier Plumbing and Sewer company Acqua Plumbing will handle all your plumbing and sewer problems with care and unmatched skill. Acqua Plumbing has your back and backed by our Customer Satisfaction Guarantee why wouldn't we be!! Let Acqua Plumbing be your smart choice in your plumbing, sewer, commercial, residential, or tenant services. Acqua Plumbing, Tacoma-Seattle's #1 Premier Plumbing Company, we are Licensed, bonded, insured, Family owned and operated. When you have plumbing and sewer problems, feel like you need a helping hand, someone knowledgeable, and friendly. Call Acqua Plumbing Washington's smart plumber. 253-353-4602 Today for great offers and discounts.